So much of what I was taught as a young doctor, about the HPA axis, and the thyroid and adrenals was wrong. I have had to unlearn much of what I was taught. I was taught that cortisol is a scarey substance that is not safe to use. That you must use very small amounts. This turns out to be false. It turns out it is better by far to go straight to the physiological dose of 5 mg, four times a day than to take small doses and work your way up. A great, easy to read book on this topic is "Safe Uses of Cortisol, 3rd edition" by William Jeffries, M.D. It gives you dosage recommendations for various life challenges. I was also taught that if a person had normal blood and saliva cortisol and normal blood thyroid tests that they didn't have problems in these areas. Again this is incorrect. 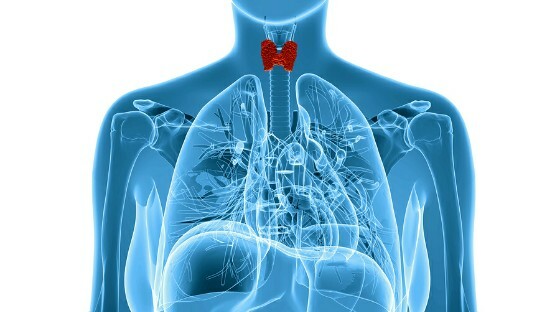 A person can have tissue resistance to BOTH thyroid hormones and cortisol. This is where the doctor must treat based upon the symptoms and not the blood and saliva tests. Both books, "Type 2 Hypothyroidism" by Mark Starr, M.D. and the "Safe Uses of Cortisol" present case after case to prove this point. I was taught that once a person starts down this path of hormone replacement for the thyroid and adrenals that they will be dependent upon these meds for life, since the glands will atrophy and will never work for themselves again. Again this is not true when a person is guided by a doctor who knows what they are doing. I know many of you have had a horrible time fighting for normalcy of life. There are so many variables that need to be covered in order to attain the quality of life you seek. The HPA axis is just a piece of the puzzle, which is why many of you are not getting the relief you could and should from hormone therapy. Often, the adrenals, thyroid, and indeed all of the glands are worn out and fatigued because the brainwave frequencies controlling them are stuck in the "on position," so even when the glands should be essentially relaxed, they are still going full speed. The glands cannot keep up this sustained pace. Bio-identical hormone replacement is sometimes necessary, however there are things that can be done to possibly get your glands working again so that you can get off the hormone replacement roller coaster. There are ways to enable the brain to relax the brainwave signals to the glands, and strategic use of low-potency homeopathic glandulars can enable your glands to begin working again. However the healing process to get the glands working correctly again can be difficult because of other circumstances such as the interference of microbes, toxins, heavy metals, nutritional deficiencies, tissue damage, and other metabolic disturbances. In an ideal world doctors would not be so quick to do for the body what the body should be doing for itself. The doctor would do their patients a greater service at the very beginning of a problem to seek to restore the body's normal functioning, instead of going right to natural or pharmaceutical hormone replacement. This is why our philosophy of treatment at the Hansa Center is to do the maximally applied effort to seek out and address everything that has gone awry in the body, not do the minimum we hope will work. Pieces and parts doctoring, "cookbook" doctoring, or using canned protocols developed by high-power doctors that "tailor a one size fits all treatment" often do not work in the complex world of illness in which we live today.